BnB ZOH consists of 4 apartments with a total of 10 rooms. Three 2-bedroom apartments and one 4-bedroom apartment. These 4 apartments are situated around the central common area, where the reception is located. A coffee bar, flexible workplace and a space for exhibitions and the selling of art and design can be found here as well. Each bedroom has its own unique hand painted funky animal art door, painted by artist Corkville. 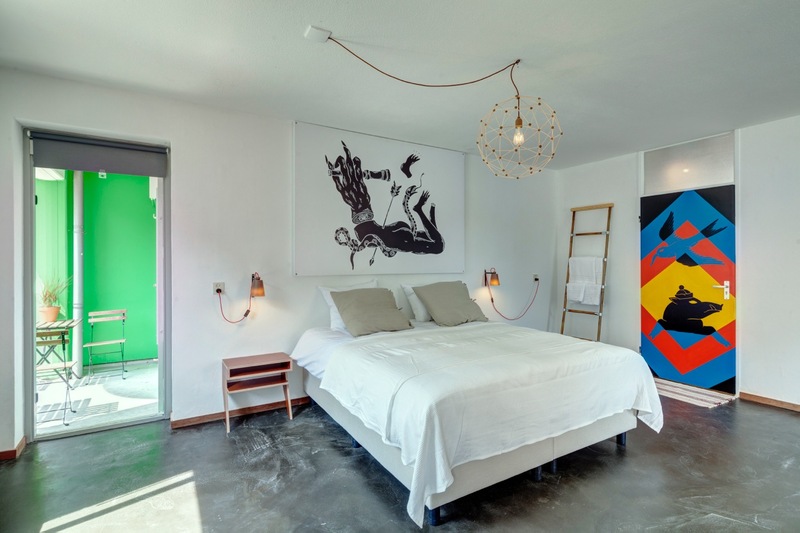 With its concrete polished flooring with 3d printed lighting, design furniture and art, the design of the rooms can be best described as raw and elegant. Prices range from € 60,- up to € 80,- depending on the room. It is always possible to book an entire apartment for a group. Check out our terms and conditions for the possibilities.